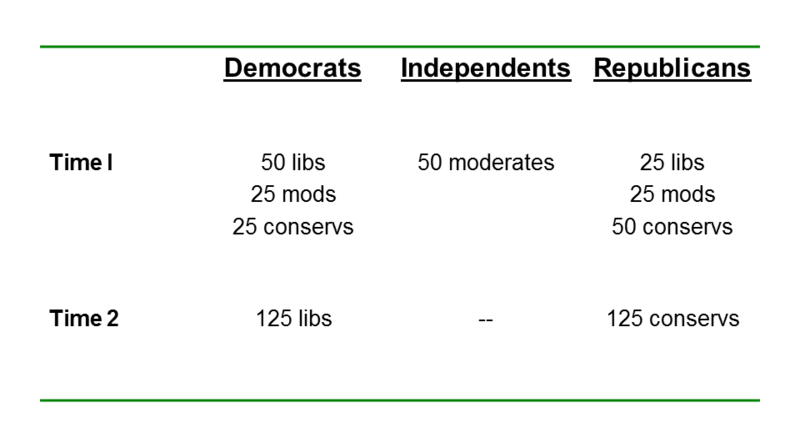 Question (and I apologize if you have blogged on this before): Does sorting make polarization in Congress (particularly the House) more likely? It seems it would as more representatives are from districts that are not only ideologically homogenous but also have only one real party to compete for that homogenous electorate. Good question. I think my answer is that sorting makes it easier for members of Congress to act in a polarized manner, which may be what you are saying. 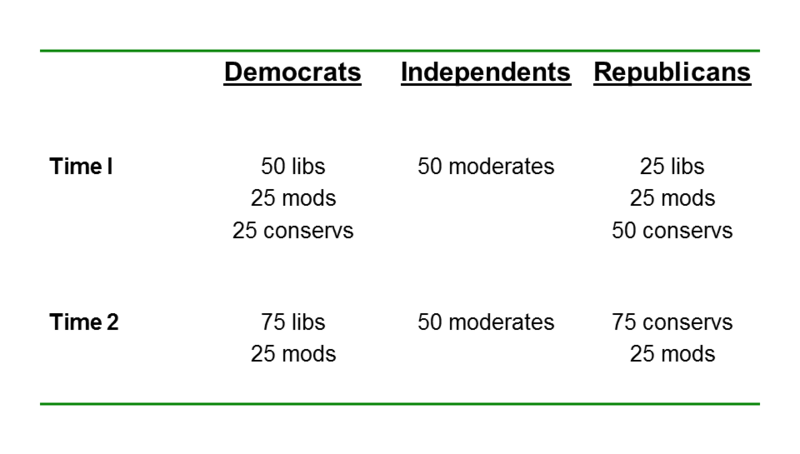 I’m not sure that it is because districts are more ideologically homogenous so much as constituents within them are better sorted into parties -liberal leaning into Democrats, and conservative leaning into Republicans. This makes it more likely that Republican voters will view Democrats as increasingly out of touch, and will oppose policies that Democrats support – and vice versa. And, of course, elected representatives tend to key most heavily on the actions of their electoral coalition – the activists who fund them and who help get out the vote, and these activists are the most ideologically extreme. So, I think you are right: sorting contributes to the incivility and gridlock we currently seen in Washington, but not necessarily because it reflects increasing ideologically homogeneity within districts. Having been following both sides of the polarizing/not polarizing debate, I’m hoping you could help me out in defining the falsifiability of your premise. 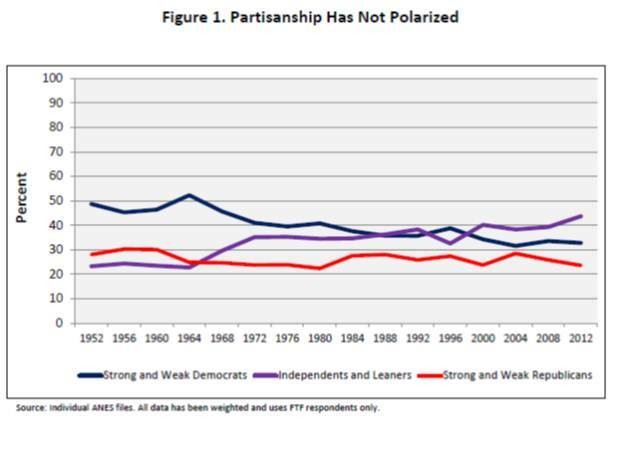 1) Read new piece claiming evidence of polarization in the electorate. 2) Find myself conditionally persuaded by new evidence. 3) Read your refutation and realize that they have misinterpreted/overstated their evidence. Part of what’s missing in this argument is a sense of what would be effective counter-evidence to YOUR argument (that what we’re really seeing is partisan sorting rather than ideological polarization). 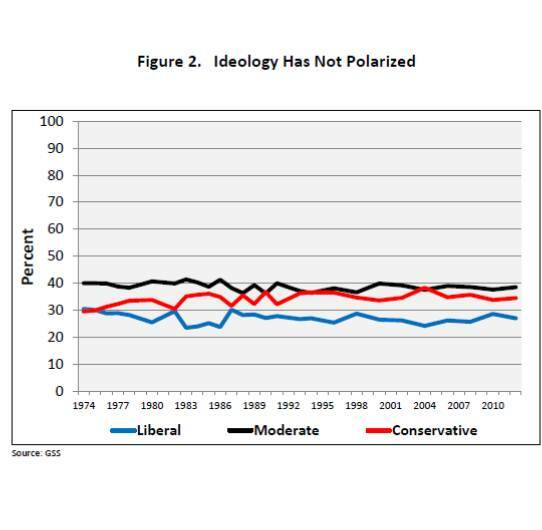 Might you be able to tackle the question of what evidence we should be looking for or finding if what we saw really WAS ideological polarization among voters (rather than either polarization at the elite level and/or ideological sorting between the parties)? I think your post of “The Myth of the Myth of the Moderate Voter” gets at some of this, but again it’s primarily as a refutation of someone else’s argument.